I remember when the clock hit 12:00am on my birthday I couldn’t sleep. While I should have been excited about my birthday, I dreaded that I would no longer be a twenty-something. You see I had finally gotten into the groove of being a late twenty-something and now it was all going away. I was now a 30 year-old. 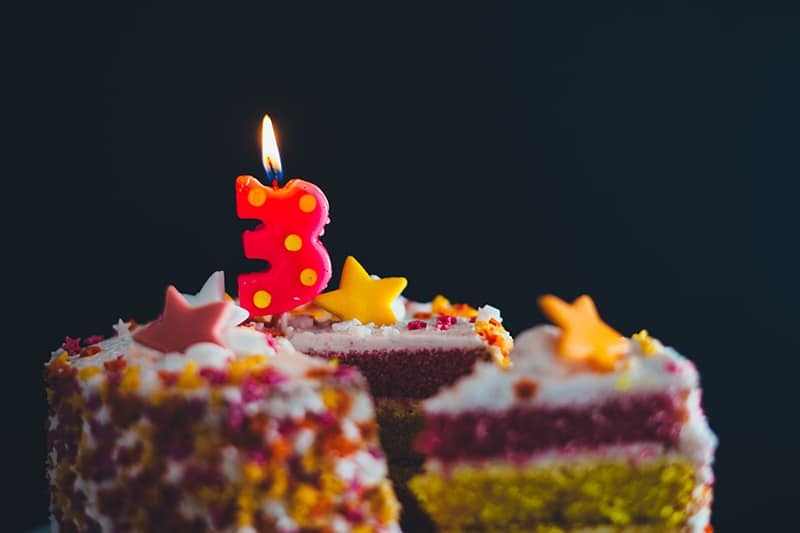 All the party planning and the excitement that surrounded turning thirty couldn’t alleviate the stress and anxiety I felt about entering a new decade of life. Sure I was happy that God allowed me to see another year but I was panicking. I didn’t feel like a real grown up and according to every meme that exists about the 30 year-olds, I was grown. I hadn’t completed my “Before you turn thirty, this is what you must do” list. And if I couldn’t complete a simple list that some blogger put together, how was I ever going to be a real 30 year-old? I mean if the list said I needed to jump out of a plane before turning thirty, then surely I hadn’t been adult enough to find a plane to jump out of, right? What would this next decade of my life bring? Could I still party all night and bounce back like nothing happened? Had I read enough books to know why the caged bird sang? Did I travel enough? And was it okay for me not to like wine? Because every 30 year-old I knew drank wine and talked about art. Do I need to go to an art festival? All of these thoughts ran through my mind the night before I turned 30 and for all intent and purposes, I thought I would die. But guess what? I’m 30 and I didn’t die. I found out it’s okay to get older. Bauces grow up and this is what happens when the clock strikes midnight on that fateful day. I don’t know exactly when it happens, but at some point you realize that in order for you to live your best life (*cue Oprah Voice*) you have to have a plan. A real one. No matter what your career path is, something clicks and you start thinking about ten years from now. I personally have always planned ahead, but in your twenties time doesn’t seem to move fast even though we are living fast lives. It feels as if we have all the time in the world and can put things off until tomorrow. Once you turn thirty you will realize you don’t have all the time in the world. And if you are not where you want to be you will need a concrete action plan to get yourself there. If you have always been a health-conscious person, kudos to you. When I was in my twenties (especially when I was in college) being healthy was not on the agenda. However, staying up late and ordering pizza with friends was. Being healthy back then meant going on diets right before a trip or to fit back into my favorite pair of jeans. Once you turn thirty you realize all your doctors weren’t lying — breakfast IS the most important meal of the day. You will begin to add veggies into your diet and even though you want to be “summer-ready”, you will also realize you don’t want high blood pressure, diabetes, high cholesterol, and other health related issues that can come from not having a proper diet. Yup, you will become the person you see outside running or rushing off the train while lugging a yoga mat to the gym. And that’s a good thing. This actually started to happen in my late twenties. I looked up and realized that I could count on one hand the people I spoke to everyday. A lot of people may argue that their friend circles became smaller due to them realizing who their real friends were. And that is possible, but I do have another theory, your friend circle will become smaller because everyone has a life. When I was in college, all we did was go to class, study, and hangout. When I graduated and got my first job and had a few coins, I thought I hit lotto. Every two weeks when I got paid, I would shop, go to every happy hour on the planet, and hang-out with friends. Once you become thirty, your life and the lives of your friends will become fuller. Friends won’t have time for an after work link up because they are planning their wedding. Some are studying for the bar exam and some are newly-minted parents. In the beginning, it can be a little sad, but then you realize they still are your friends. And as long as you’re still in the group chat you know they are still thinking about you. There was a time that if I didn’t attend every event on the planet, then somehow I thought I had missed it. I’m still not quite sure what “it” was but whatever it was, I was missing out. Once I turned thirty, the fear of missing out dissipated. In fact, it allowed me to use my time more constructively. I was so busy trying to stay in the loop that I wasn’t focused on being the BAUCE that I wanted to be. Sure scrolling on your timeline can sometimes make you feel like you are missing out on all the action, but when you have completed your goals on a Friday there is no better feeling. Plus, you will have saved some coins. Going out every weekend becomes a bill. You’ve waited your entire life to become an adult so you could be free from your parents. And then you became an adult and realized your parents have all the knowledge and wisdom in the world. Once I turned thirty, I began to ask my parents for advice on things I never considered until I turned thirty. Buying a home, raising children, moving to another state — I started going to my parents for these answers. I spent so much of my earlier years wanting to break free from my parents’ “annoying rules,” that I didn’t realize the wisdom that my parents held. All the long talks and lectures you dreaded sitting through you will now welcome because they’ve got the keys. Every time I logged on Facebook someone was either having a baby or getting married — in my twenties this was happening to all of the “older people” I knew that weren’t in my immediate circle of friends. But then I started getting the invitations. I can guarantee you once you hit thirty you will need to invest in a couple of dresses to attend at least two weddings per year. You will also need to stock up on a few congratulatory cards for when friends tell you they are engaged or expecting their first child. And yes, as many weddings that you attend be prepared to double that number when it comes to baby showers. Lastly, nobody wants to ever hear that a loved one has passed away but once I got older I realized I wasn’t the only person aging — everyone was. Whether it’s old age, sickness, or fatal accident, as you enter into the next decade you will attend more funerals. It’s a tough realization but a real one. Now this may be a “duh, everyone knows that” moment, but I surely did not think my body was like all other adults. I thought I was different. In the past I was able to work off of two hours of sleep and keep a great pace all day long. Bring on the coffee and Red Bull and you wouldn’t be able to tell that I was out partying the night before and barely made it to work on time. I’m sure everyone is able to pull an all-nighter once in a while, but I was able to do it back-to-back. When I turned thirty, something shifted; the shift was me getting older. I am usually in the bed by midnight on weekdays when I am not up trying to finish a project. But gone are the days where I can stay up all night and be fully present the next day without daydreaming of when I’d be home curled up in my bed. Getting rest is not a bad thing, as Bauces we sometimes think that if we stay up all night then we are really being Bacues. But being a Bauce is knowing that self-care comes first. And getting the proper rest allows you to be the best Bauce you can be. Being a Bauce is knowing that self-care comes first. While sitting on the train I would often look at other women who were knitting and think, “they must really lead a boring life.” Getting a hobby does not mean you are boring or lead a boring life, it means you lead a balanced one. We live in a fast paced society and if you are a Bauce much of your time is being spent working at your job, side hustle, or new start up. You will have few moments to yourself. Once I turned thirty I knew I needed something just for myself. So I got a hobby — I’m an avid reader, so I started an online book club which I love. Yes, a book club! Some might say it’s boring, but it makes me happy. So whether it knitting, reading, taking swimming lessons, learning a new language, do something that you enjoy. I remember watching an interview with Oprah Winfrey and the late Dr. Maya Angelou and she told Oprah that the sixties were when you really began to live. She went on to say that with age you gain a sense of self-confidence that you never had during your younger years. While I wasn’t sitting around thinking about my sixtieth birthday, I did long for the confidence she spoke of. During my twenties I spent a lot of time being very unsure of myself. Your twenties help you discover who you are and more importantly who you want to be. And that can be scary especially when you’re still trying to figure out if the “sell by” date on the milk carton means you can still drink it by the date or if it’s spoiled by the date (I’m still unsure of this). When I turned thirty, I gained a new sense of self-confidence that I wasn’t aware would come. It was as if I put some respeck on my own name and started to live my life that way. I believe as I got older and had more life experiences where I had to trust myself I gained a better sense of self. I began to get a pinch of the living that Dr. Angelou spoke of. Like fine wine, life only gets better with time. Like fine wine, life only gets better with time. I hope all of my Bauces who are in their twenties (especially the Bauces who are 29) let out a deep sigh of relief. I promise you will not die once you turn thirty. You might have to DVR Scandal because you fell asleep or find yourself in the baby aisle shopping for gifts because three of your friends from college got pregnant at the same time. But you will be okay.